The perfect accompaniment to wear with a multitude of costume fashions spanning the timelines of ancient Roman through the Medieval Ages. 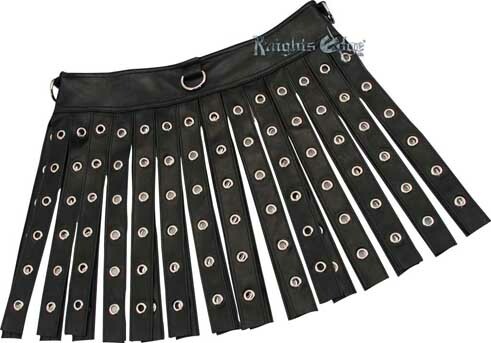 The Roman skirt is also awesome clubwear! Quality made of supple black vinyl. Item #8000XL.